It has been almost a year since our colleague and friend Nicki Evatz lost her bout with cancer. Restaurant Realty pays tribute to an extraordinary woman who always put her best foot forward at both work and home. Although Nicki was never a restaurant owner or operator, during her time at Restaurant Realty she assisted over 400 restaurateurs realize their dreams of starting a restaurant. She is an honorary restaurateur to us and many. 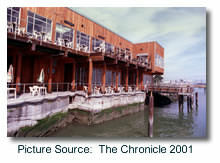 Nicki came to Restaurant Realty in 2003 after working at various Marin County residential real estate companies. She was quick to embrace her new role being involved in a different type of real estate transaction. She soon was doing escrow management including tracking the progress of deals, working with landlords to help negotiate leases, assisting in the ABC license transfer process, and making sure all of the i’s were dotted and t’s crossed in the many documents generated to complete a restaurant transaction. She screened buyers to make sure their qualifications fit a particular project and she oversaw all of the administrative functions of our office. She was a force to be reckoned with in only the best way and we sorely miss her vibrant energy. Nicki was a proud lifelong resident of Marin County who descended from her family that settled in Bolinas in the 1800’s. She grew up in Marin and initially worked in the horse business and competed in dressage, jumping and cross country competitions. She served as president of the Southern Marin Horseman’s Association in Mill Valley for 2 years. Besides her work she had a very full life with her wide circle of family and friends. One of her loves and great past time was tennis-she was able to balance work with playing team tennis. Restaurant Realty’s entire team will always have fond memories of this most wonderful person. She is sorely missed by so many restaurateurs, friends, and family.